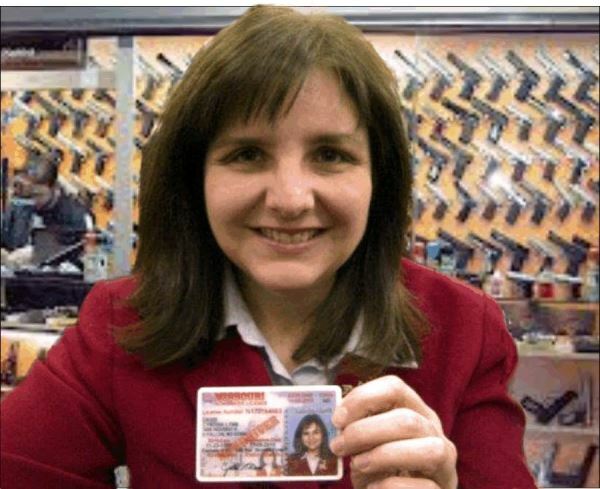 This is a photo of me with my concealed carry license. Should I have had to get one? According to the U. S. Constitution “…the right of the people to keep and bear arms shall not be infringed.” What does that mean? Most voters will read the ballot language on August 5th and think the question is whether you are pro-gun or anti-gun. In Missouri, most people are pro-gun, so based upon that, it will probably pass. On a cold day at one of my favorite outdoor shooting ranges with one of my favorite gun instructors, Tim Oliver, near Columbia. 1.) Adds ammunition and accessories. 2.) Removes the language about concealed weapons. 3.) Adds that new regulations are subject to “strict scrutiny”, but doesn’t define what “strict scrutiny” means. 4.) Makes some comments about mental health, but that is also not defined. My take on it is that it should have been handled in the state statutes, not the constitution. Some people like putting laws into the constitution because it is more difficult to change. Yet, the constitution is not for the small details. It should be for the larger ideology that defines the values and philosophy of our state. A lot of politicians like to use issues as fund-raising opportunities for their campaigns and so they can have bragging points or votes when it comes to election time. The final question is this: If the legislators really wanted to show how pro-freedom and pro-gun they are, why didn’t they propose a constitutional amendment that declares no permits are required in Missouri? 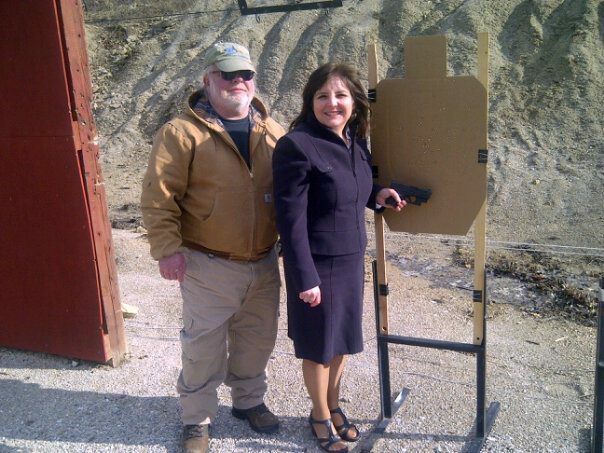 Currently in Missouri, a special permit is not required to carry a gun openly. Yet, the local sheriff’s departments have made a lot of money off the requirement that people must get a permit if they want a gun to be concealed. Some states do not require permits. 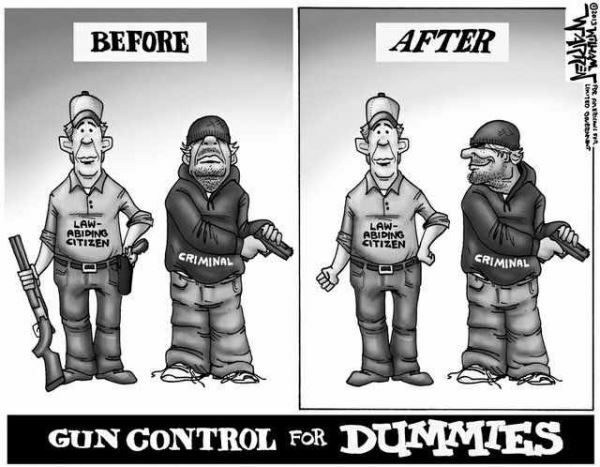 The studies show that the crime rate decreases when more people have guns. 1.) 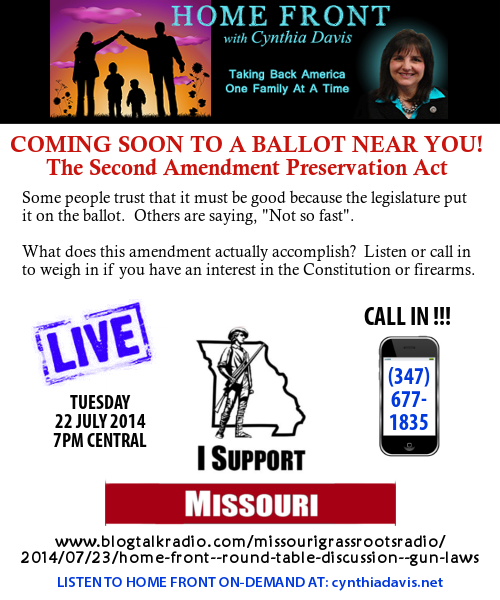 Listen to our show tonight at 7:00 p.m. Central Time. 4.) Help us communicate. Any contribution will be used to help further our research to inform others. You can mail a check to Cynthia Davis, 1008 Highway K, O’Fallon, MO 63366.